It’s difficult for me to say at which point that I most enjoy Hydrangeas. Is it when they’re at their peak bloom time? Or as they fade into their antique colors? Or, perhaps, it’s now — when the first blush of color touches each petal? 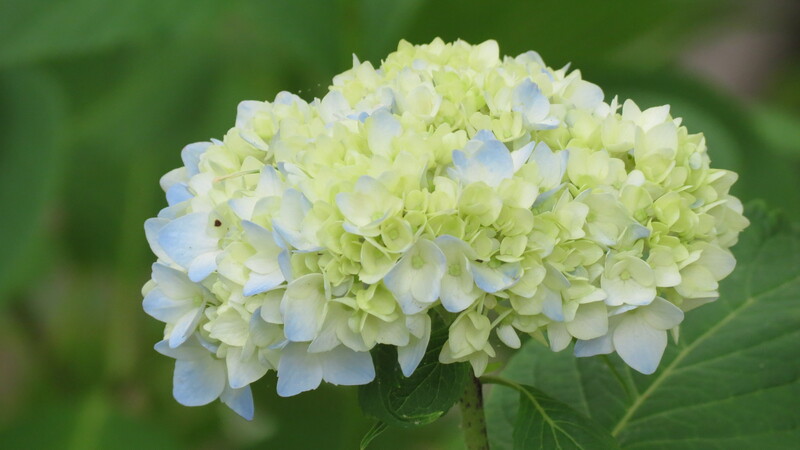 Terrific shots of many different types of hydrangeas! They are spectacular. I see one of them is a climbing hydrangea – I have that too and it’s in bloom. I love it! 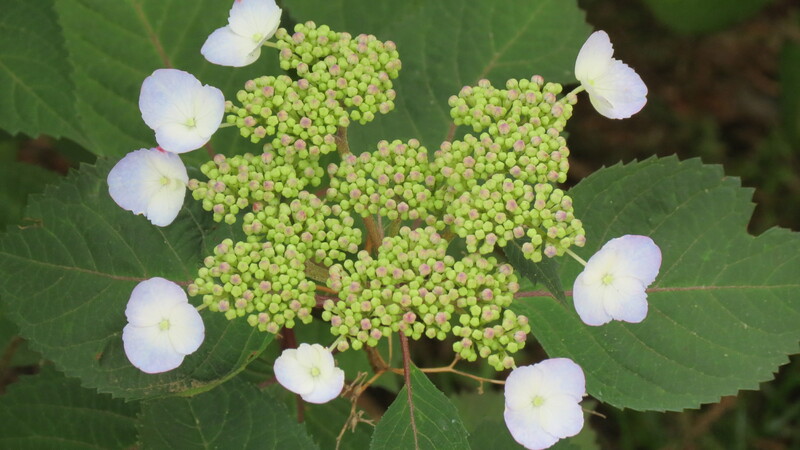 If you have space in your garden, maybe buy and plant my ultimate favourite: oakleaf hydrangea. Big maple-tree-type leaves and long conical blooms. A real beauty! If truth be told, it’s not a climbing hydrangea — although it looks like one. I purchased the lacecap from Home Depot because the label name had “red” in name. I thought I was getting a hydrangea withg red blossoms. 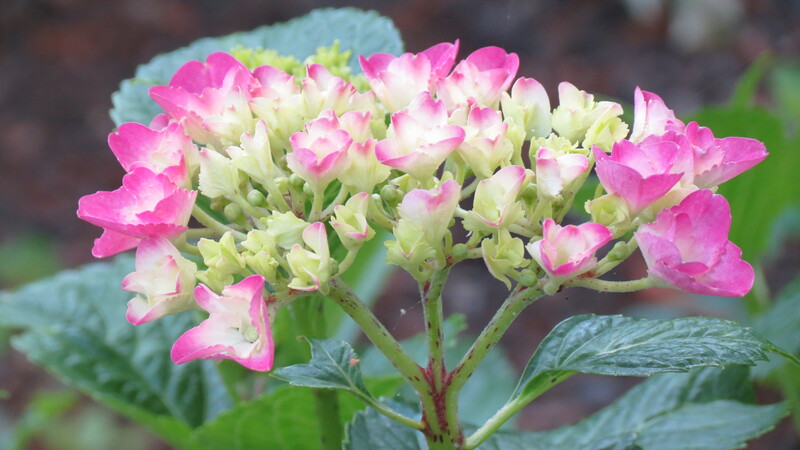 Instead, I have a hydrangea whose new branches are reddish. It’s still a charmer, though, that looks incredible during twilight hours. 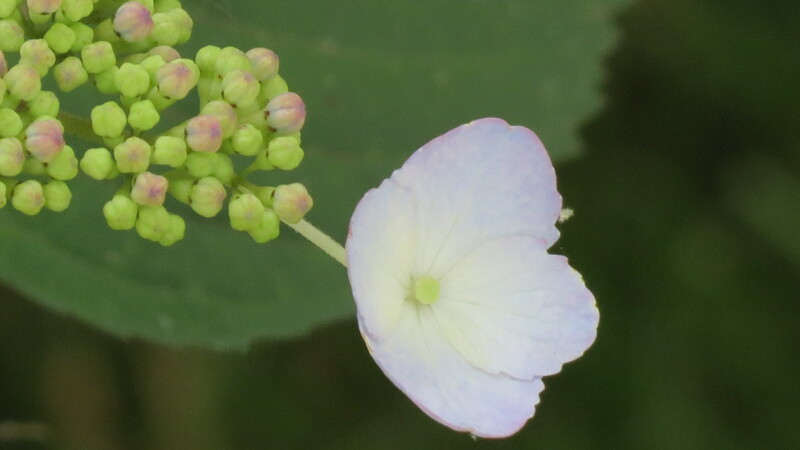 The pale color seems to bloom. And I understand your love for oakleaf. I only wish I had the room. Kevin. your first blush is evocative, a beautifully photographed preview of the abundance in store. Of course, here in my piece of Connecticut, first blush is yet to come on the mopheads, while oakleafs are tuning up. Lee, thanks for the beautiful comment. I’m blushing myself. 🙂 Enjoy your first blush. I am with you Kevin, they are beautiful at every stage and that makes them even more enjoyable. Having blooms for all the seasons from them makes them one of my favorites in the garden. 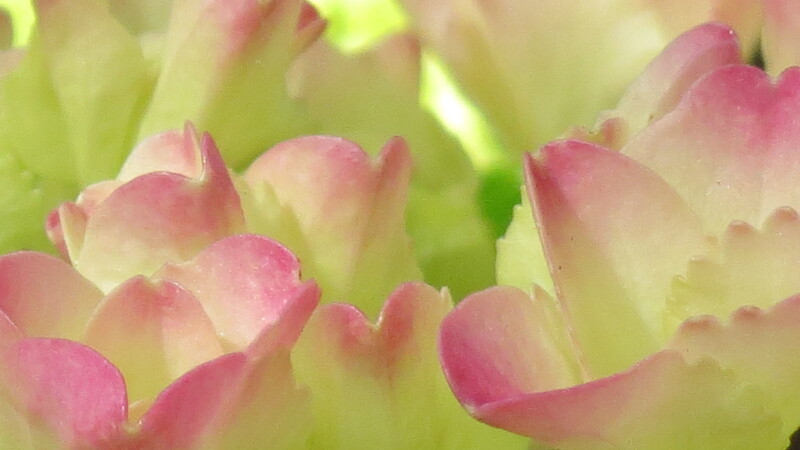 Wonderful pictures of your first blushes of color. 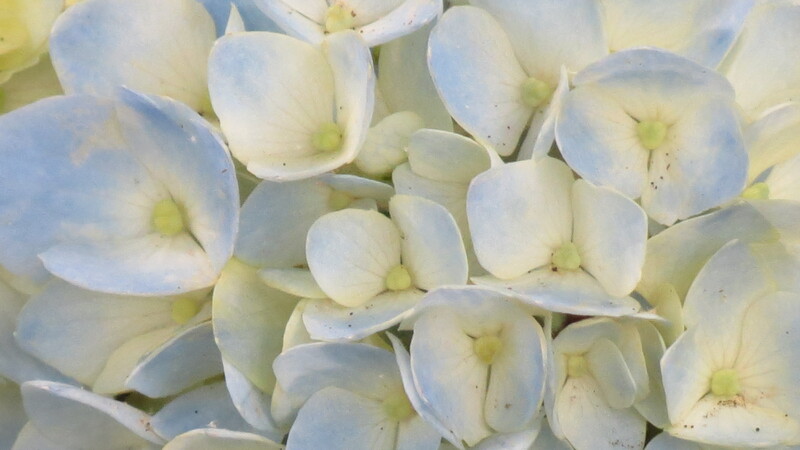 Yes, Lona, hydrangeas are incredible — and you’re right. There is beauty at every stage. Drought and hydrangeas definitely do not go together. But when the climate’s right — they are spectacular. And I love your reference to nostalgia. Be well, Debra. Simply beautiful at all stages – lovely photos! Mopheads didn’t used to be a favourite of mine but they appeal more and more as years go by. Hello — I just found your comment in the spam folder and I pulled it out and added it here. Glad you enjoyed the photos and that mopheads are winning you over. I agree, hydrangeas are beautiful at all stages, so don’t be surprise if I keep posting photos of their aging gracefully. The hydrangea photos are beautiful, Kevin. The booms are beautiful at all stages, but I like them as they fade into their antique colors the best. Thank your for sharing your beautiful blooms. So glad you enjoyed them — and I know what you mean about their antique colors. Hydrangeas can charm me all year long. 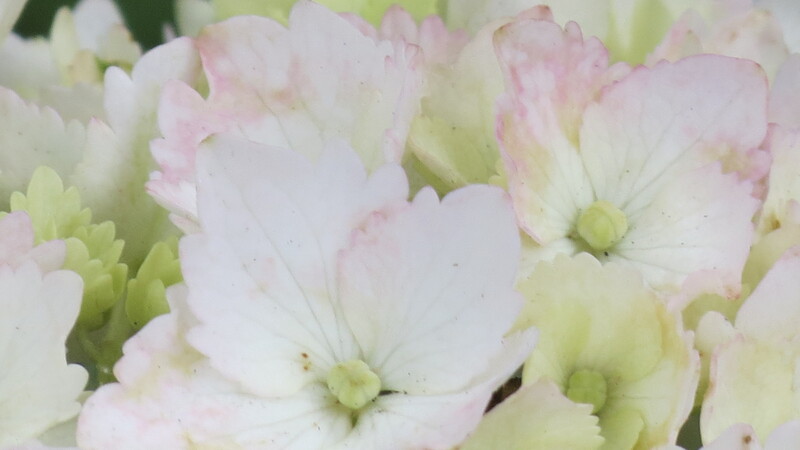 I hadn’t really thought of hydrangeas like this but you’re right, there is a slight blush in the beginning. Great photos capturing that slight touch of colour. Hi Kevin! 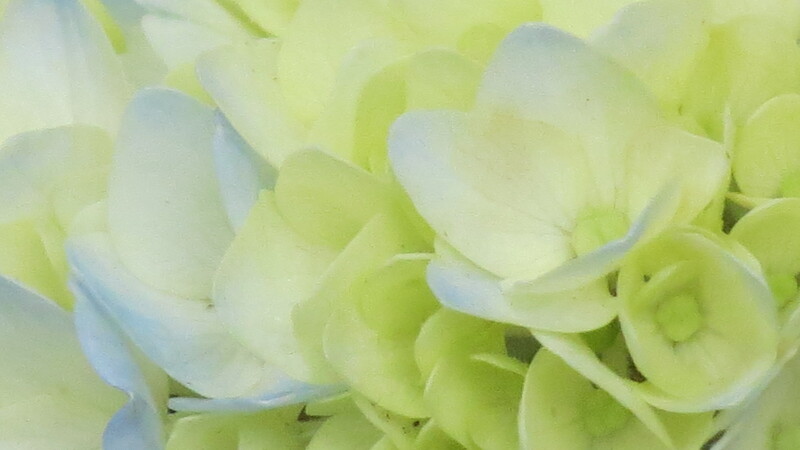 you have some noticeable hydrangeas and I like the pictures as well! I prefer my hydrangeas as they fade but I mostly grow paniculatas, quercifolias and arborescens’ so maybe it doesn’t count. 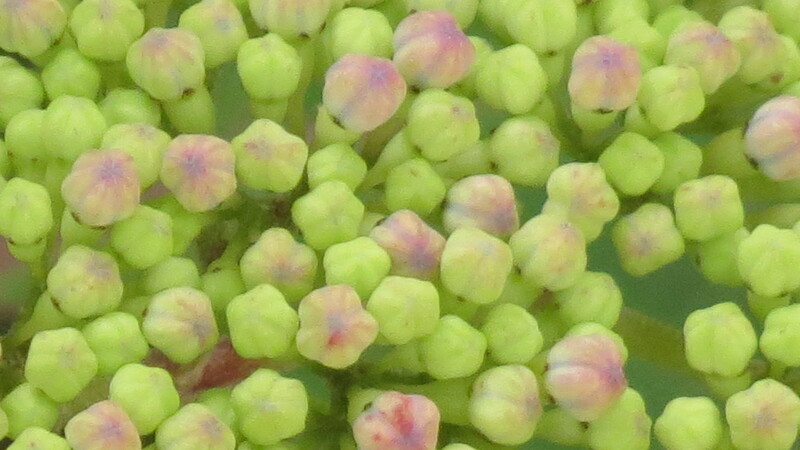 Macrophyllas are beautiful during most of their periods for different reasons. Do you treat yours with aluminum? I can see some are a little on the blue side… or maybe you have acidic soil? I really don’t do anything with them, other than give them water. So the color must be from the acid/alkaline ratio. 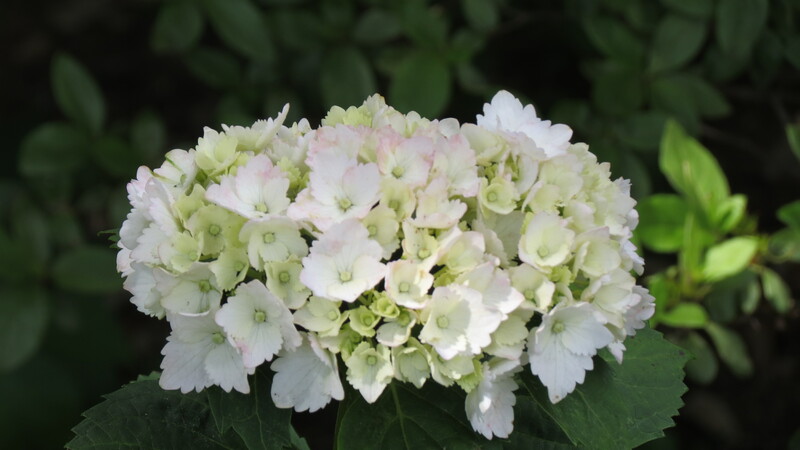 I also think that some of the newer varieties are more true to their color. But don’t quotes on that one. 🙂 I love them now because I love to see the color emerge. I’m sure that as the season moves along, I’ll love them all over again. check out my blog this week – awards for you! What a wonderful blog. These hydrangea pictures are magnificent. Such beautiful flowers. I subscribed! Kay, thank you and welcome. I’m always thrilled to get a new subscriber — and I appreciate the feedback. Enjoy the day! They are all gorgeous — and that second photo is stunning! Thanks,Jean. Since those photos were taken, it’s amazing how much of the color has settled in. They look different each day!